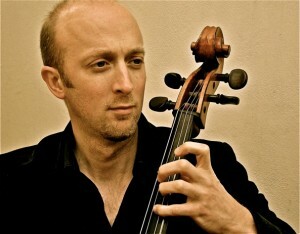 Peter Wilson studied cello at the Royal College of Music with Anna Shuttleworth and Alexander Baillie. Peter was awarded a first for his final recital and went on to study a PGDip at the RCM, supported by a Leverhulme postgraduate studentship with Leonid Gorokhov as his teacher. Whilst at college, he won the Anna Shuttleworth competition for unaccompanied cello and was presented with the Leo Stern award. Peter is a freelance cellist and is a core player with Orchestra da Camera. He has recorded solo cello for film at the legendary, ‘Abbey Road Studios’. His playing has been broadcast on BBC radio 3 and he has recently recorded solo cello for a documentary on BBC1. His orchestral experience includes playing Principal cello with the RTE (Raidió Teilifís Éireann) National Symphony Orchestra while on trial and with the Singapore Symphony Orchestra. Peter has performed concerto works including the Saint-Saens Cello Concerto and the Beethoven Triple Concerto as part of the Wirksworth festival. Some of Peter’s musical adventures have included playing in the musical Peter Pan at the West Yorkshire Playhouse alternating between a cello and a 6 stringed electric cello. He also toured with the band Budapest in Spain, playing live on National radio and television, culminating in a sell out show of 5000 people at the Riviera in Barcelona.